Join us for an evening at the Savory Spice Shop in Lincoln Square. General Manager David Trout will lead us through a series of spice groups, allowing us to experience the aroma and flavor of each. 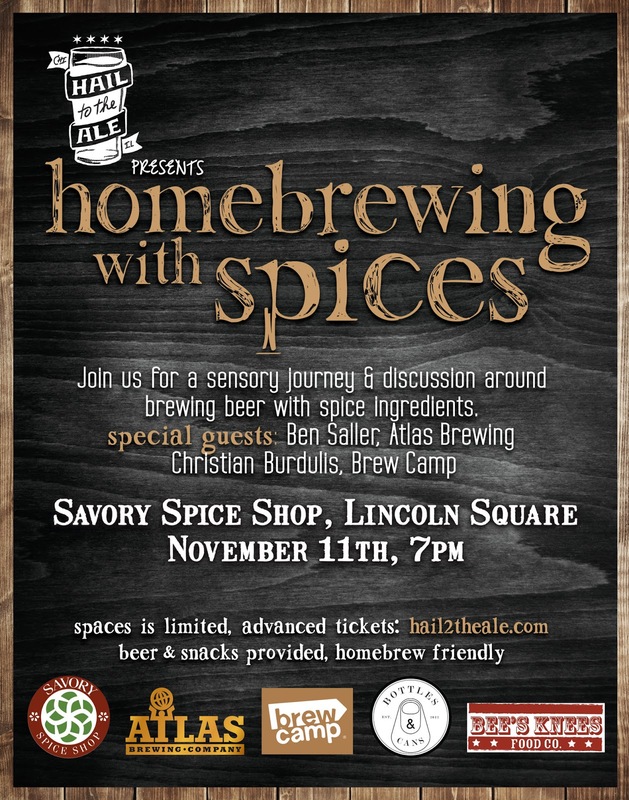 Special guests Brewmaster Ben Saller of Atlas Brewing Company and homebrewer extraordinaire Christian Burdulis of Brew Camp will talk about how they incorporate the use of spices in recipe development from both the homebrewing and production brewing perspectives. We will have spiced beers available to drink courtesy of Bottles and Cans, as well as snacks from Bee's Knees Food Co..
Savory Spice Shop will offer a discount for all purchases the night of the event.